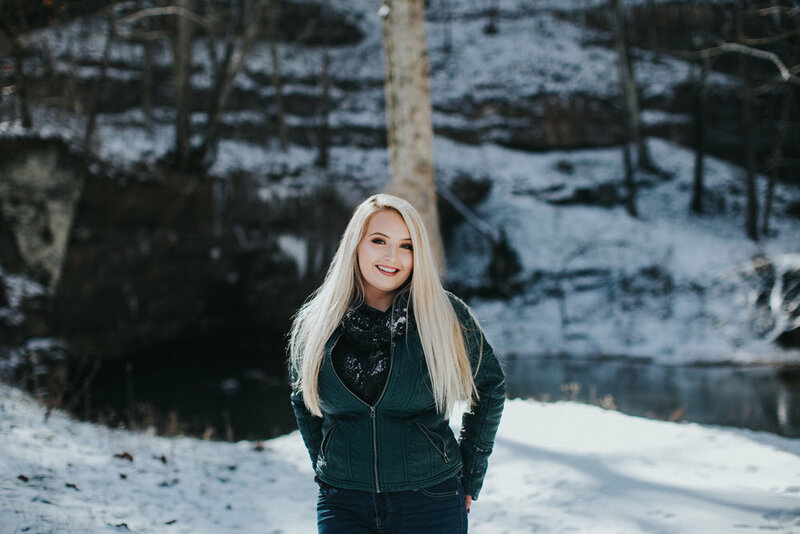 Snow Winter Session Somerset Kentucky Photographer >> Short Creek, Kentucky >> Chesney W.
This is Chesney's second session with me and both of them have been KILLER. I mean, the things I would do for Chesney's hair. It's gorgeous! She is gorgeous! She has one of those smiles that stops the world from turning. 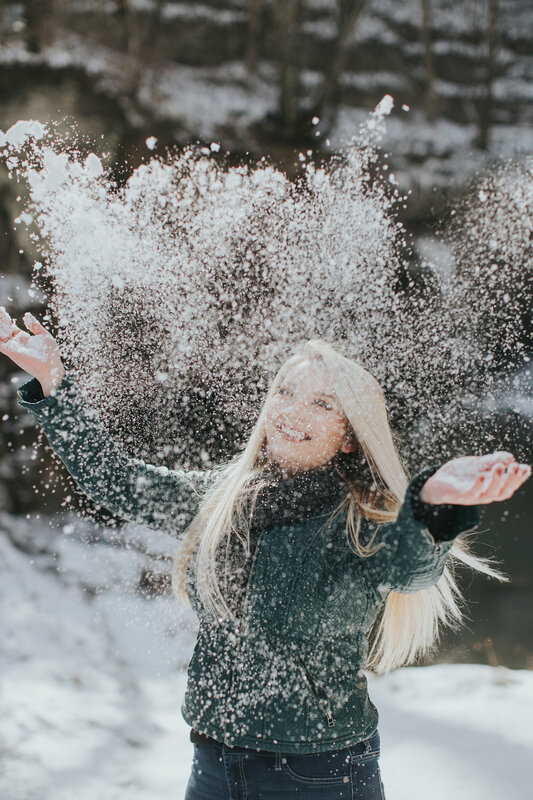 We went to short creek for this session, and funny enough, I got lost on the way there. There was snow on the roads, and it was really confusing to figure out where to go.... haha! I called Chesney and turns out she was directly behind me, lost, as well! HAAHAH! We finally made it there and it was perfect! The water wasn't as pretty as I had hoped it would be (it usually is that beautiful turquoise color) but it worked out anyways! :) Enjoy!! 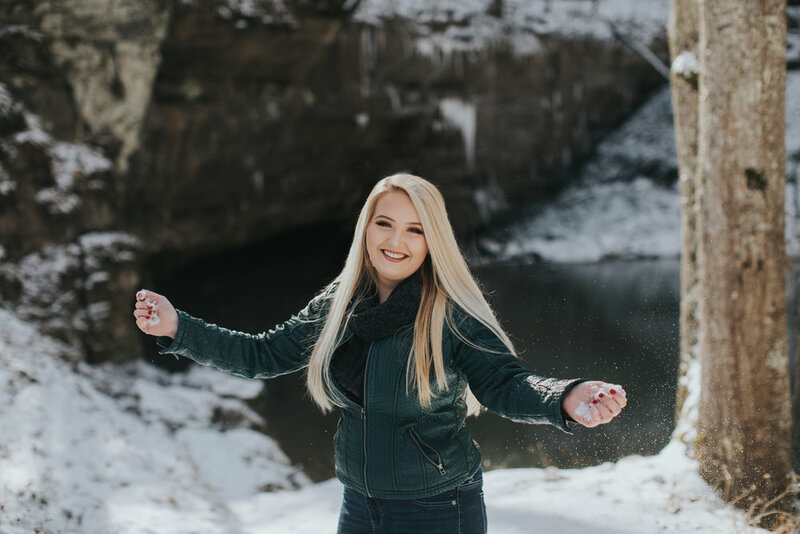 Snowy Senior Session, Kentucky Senior Photographer >> Samantha S.